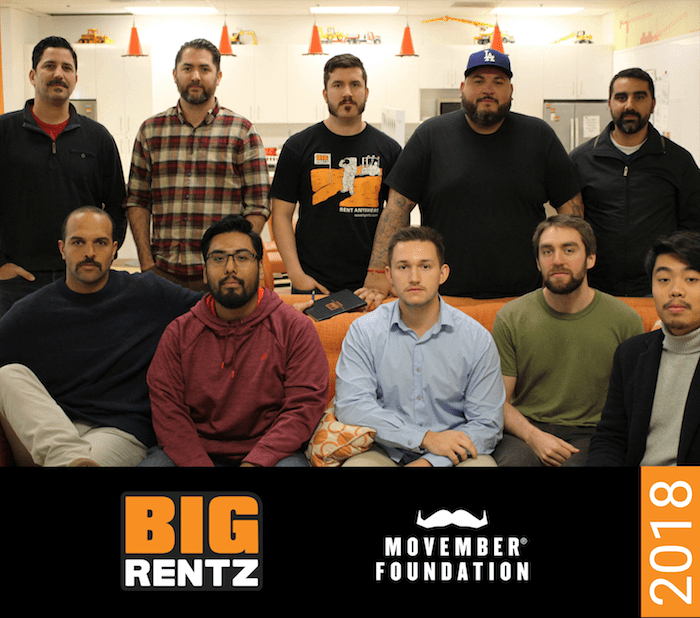 IRVINE, Calif., Dec. 6, 2018 – The men at BigRentz, the nation’s largest equipment rental network, pledged to grow mustaches during the month of November in honor of ‘Movember,’ an annual event led by the Movember Foundation to raise awareness about men’s health issues such as prostate cancer, testicular cancer, and men’s suicide. In its second annual participation in the event, BigRentz held a contest to see who grew the best mustache while also raising funds for the Movember Foundation. Nine men participated in the contest, including Jim Arabia, Vice President of Marketing at BigRentz.